Thanks for visiting my site! You've come to right place if you're looking for new friends. As my favorite dicho says, "los amigos mejores son libros," which means "books are your best friends." I truly believe this. Whenever I need company, I open a book and there they are—new friends, old friends, friends I love to hate, and friends I love to love. Would you like to make some new friends, too? If so, take a minute to visit my books page. You can also browse my site to see my schedule for upcoming events, contact me for a school visit, or get information for class projects. 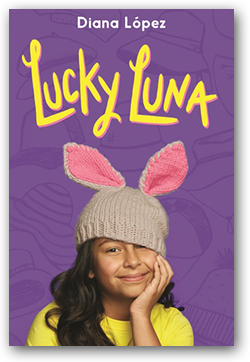 Luna Ramos has more cousins than she can count, and even though her mom says that makes her lucky, Luna knows that every time she gets in trouble—and she gets in trouble a lot—one of her primas is responsible. 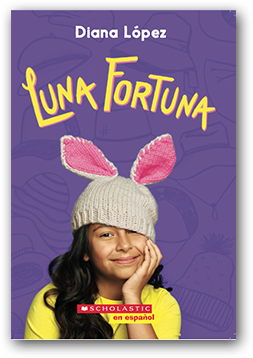 When Luna's grandmother offers some sage advice in Spanish, Luna gets it all wrong, and when the kids at school begin making fun of her cousin Claudia, Luna must decide what matters more: family or her reputation. "Readers will find themselves chuckling at the situations Luna gets herself into and smiling at a satisfying ending." "López offers a sweetly poignant novel about learning to love your family." "López weaves magic tricks . . . and healthy doses of humor into an upbeat coming-of-age story." "A funny and heartfelt story about a girl dealing with the trials of middle school and her mother's breast cancer." "Employing lovely metaphors and realistic dialogue, Lopez delicately displays the power of optimism and innovation during difficult times." Site design © & maintenance by xuni.com. All content © 2016-2019, Diana López.